Another tablet as entered the market. Yes, I know you’re thinking “did we need another tablet?” and I answer, with this one yes. 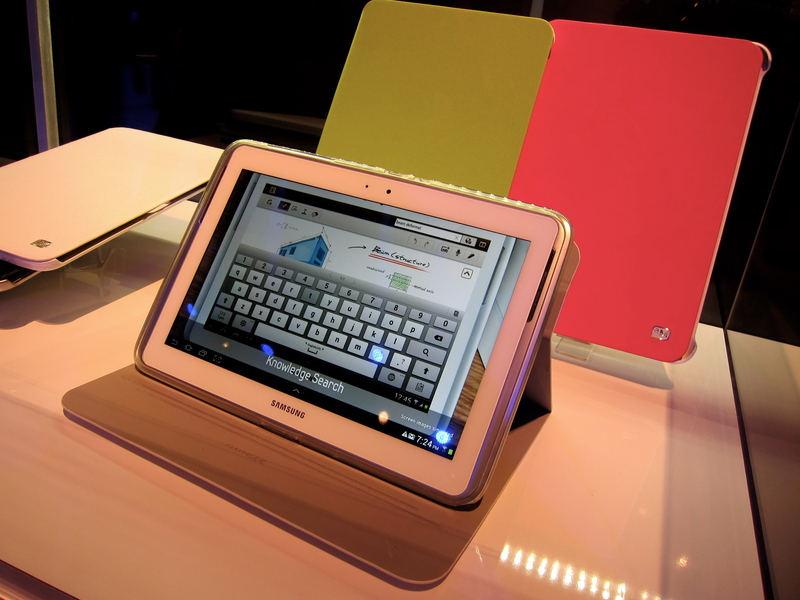 The Samsung Galaxy Note 10.1 is available in stores starting today and it isn’t your average tablet. It even in my opinion puts the Tab line from same company to shame. Introducing the Samsung Galaxy Note 10.1, which is a bigger and more robust model of the original 5′ Galaxy Note released earlier this year. Different is unlike the original Note, this one is more a tablet. Remember with the 5′ inch it was a blend of smartphone and mini tablet. I really liked the Galaxy Note 5″ but I’m not a fan of AT&T (yes, I’m an admitted Sprint fan). Now I’m overly excited about the 10.1 model especially after getting a preview. First the screen is a great size for creative folks and multi-media consumers. For the creative ladies, you’ll appreciate the S Pen which is pressure sensitive. It really works like a pen which is hard to replicate in the stylus. It has remarkable accuracy. 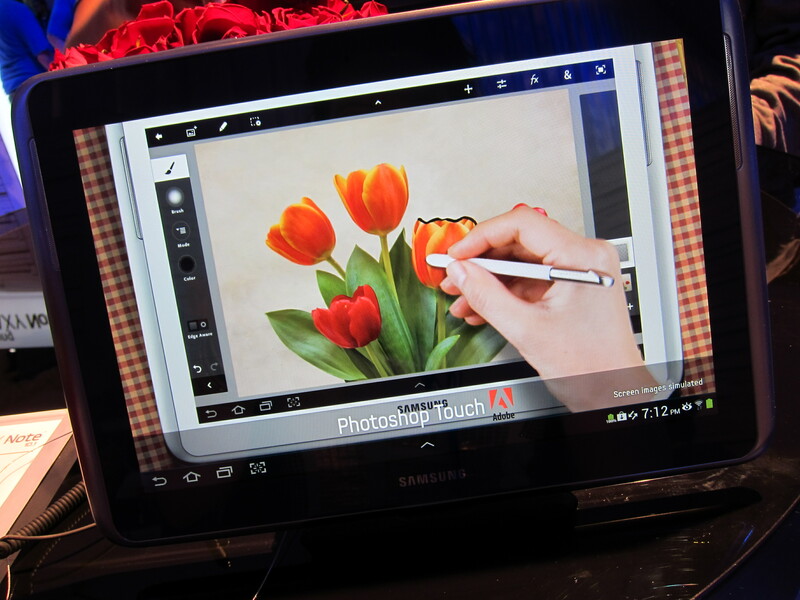 The tablet is preloaded as well with Adobe Photoshop Touch. Computers don’t even come preloaded with Photoshop so way to go Samsung. The next thing that makes this tablet a real winner is the performance. As someone who freelances and needs my tablet to run my life from personal to business this is a real important point for me. 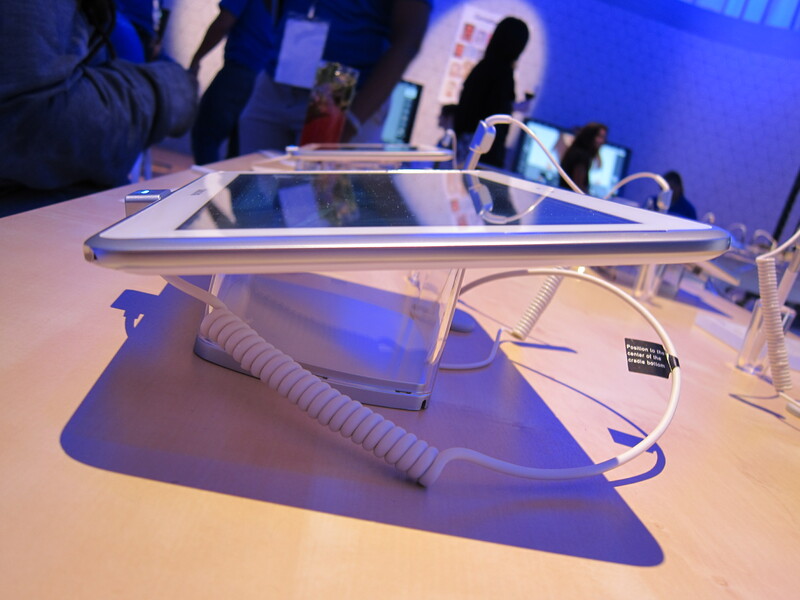 The Note 10.1 has a 1.4GHz quad-core processor. It’s nice and fast and especially awesome with multi-tasking. Comes in two models 16gb or 32gb with each has 2gb RAM. Also has built-in micro SD card slot and offers 50gb of Dropbox space (free for the first two years). An extra nice feature is the Pop Up Play, with is a feature where you can place and view the video screen anywhere on the device while in any function. For the productivity minded, the multi-tasking ability is an added value. The multiscreen feature where you can watch videos or read articles on one side of the screen while taking notes on the other. Kno, is the feature that lets you highlight and write directly on more than 150,000 e-textbooks. For documents it comes pre-loaded with Polaris Office. With the S-Pen and S Note, you can easily take screen shots of pictures, charts, or web content and easily drop and drag into Powerpoint. 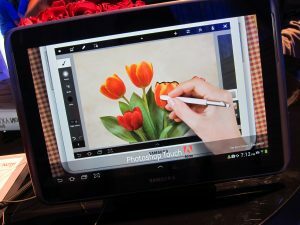 Although I was only able to spend about an hour with the Samsung Galaxy Note 10.1 at launch event, I’m already hooked. I’m not sure if I’d call it an “iPad killer” but it definitely is a powerhouse and does a lot more then your average tablet. Stay tuned to a more indept look at the Galaxy Note coming soon.